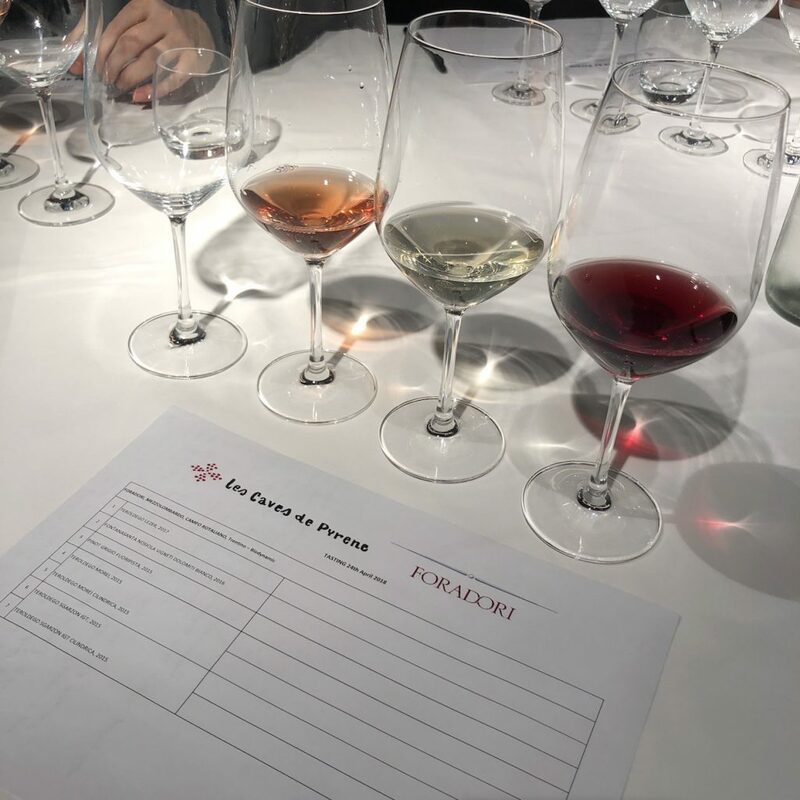 Foradori has already made a name for itself with its amphorae-vinified wines but it is now experimenting by ageing the wines longer and in amphorae of differing formats – both shape and scale. 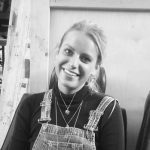 On the launch of two new single vineyard wines, Christina Rasmussen spoke to Theo Zierock, son of Elisabetta Foradori, to discover what method lies behind this experimental winemaking, why the winery has nailed its colours to the mast of the Teroldego and Nosiola grape varieties and how it aims to introduce a younger market to try different styles of wine. The panciuta (or ‘uterus-shaped’ amphorae) that line the walls of the Foradori winery are legendary. 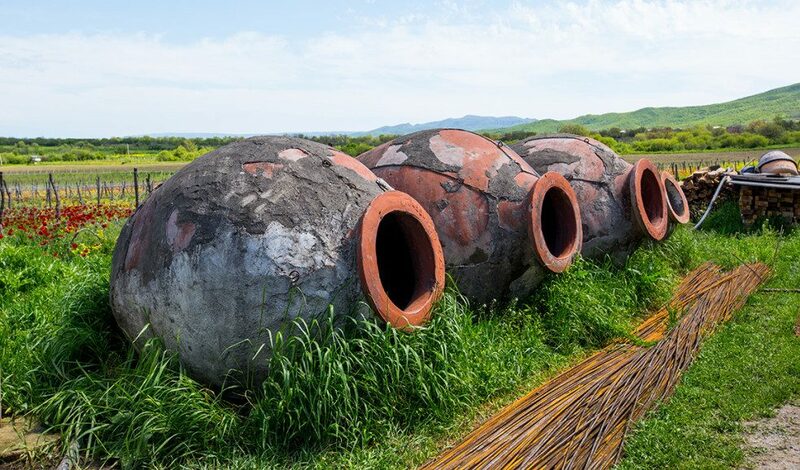 But the wines made in them are now joined by some new cuvées that, having already spent a year in panciuta, age for a further year in longer, cylindrical amphorae called cilindrica. The launch of these single vineyard cilindrica wines prompted UK importer Les Caves de Pyrene to invite Theo Zierock to London to meet key buyers and sommeliers to explain the project and to also unveil Lezer, an easy drinking vin de soif version of Teroldego, the grape that Foradori put back on the wine map in the mid-1980s. These experiments with amphorae began in 2013 with 350 litre formats, progressed to 700 litre vessels in 2014 and, with the 2015 vintage, sees the first commercial release of wines that have been aged in large format amphorae. In total, Foradori has a stable of 173 amphorae (with 30 more due to be added), and every year ten of these are bottled and set aside to see what happens. “They can be perfect one week, then VA (volatile acidity) can appear two days later,” Zierock explains. I find myself nodding. That’s the beauty of making this style of wine isn’t it? The unpredictability. It’s about movement, of gently capturing the essence of healthy grapes and seeing what they can become in vessels that capture their energy. It is more about how we, as humans, are able to guide a wine to become a true expression of its own sense of place. 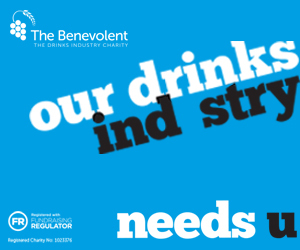 It is about giving the wine confidence to just ‘be’ without interference. Foradori insists that all of the amphorae are made by Spanish potter Juan Padilla, in Villarrobledo, a craftsman who only produces around 20 amphorae a year, only communicates by letters and fax and for whom the production is clearly a labour of love, and a slow one at that. But then making wine with amphorae is all about the ‘long game’; there is no expiry date on these vessels (unless they break) so the existing amphorae in the cellar are there to stay. Zierock is quick to point out the key differences between the Trentino style of amphorae (raised above the ground) and sunken qvevri in Georgia. The Foradori estate is located in the Dolomites of Northern Italy, between the DOCs of Veneto, Trentino-Alto Adige and Friuli-Venezia Giulia. They farm 28 hectares, of 75% of which is Teroldego, with some nine hectares of Manzoni Bianco and Nosiola. 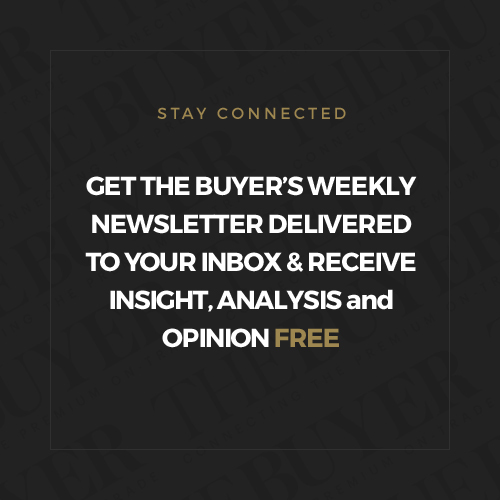 They also buy some Pinot Grigio from a farmer who used to sell his grapes to the co-op but was never satisfied that their true potential was being realised there. “He is a maniac in the vineyard,” Zierock explains, “everything has to be perfect and balanced.” With a cheeky grin he adds, “Our mother didn’t want to do Pinot Grigio but the grapes were so good that my brother (head winemaker Emilio) schemed around her.” The first vintage was in 2014, after a trial in 2013. 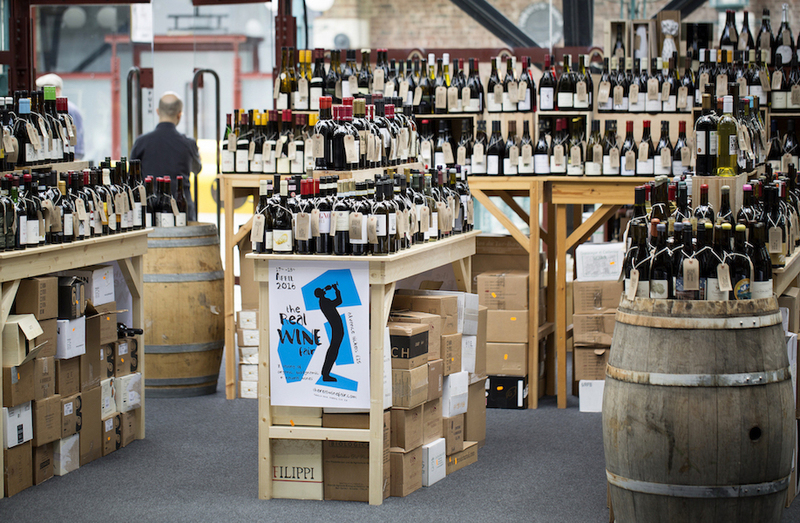 Of the estate’s annual production of 160,000 bottles, 90,000 are Foradori, 20,000 Granato, 20,000 Fontanasanta Manzoni Bianco, 8,000 Fontanasanta, Fuoripista Pinot Grigio and 10,000 bottles each of the single vineyard wines Sgarzon and Morei. The Foradori estate has been in the family since 1939, when Zierock’s great grandfather bought it, back when land here cost next to nothing. His grandfather, Roberto, was the first to bottle Foradori wine and, following his premature death, running the estate was left in the hands of his grandmother. 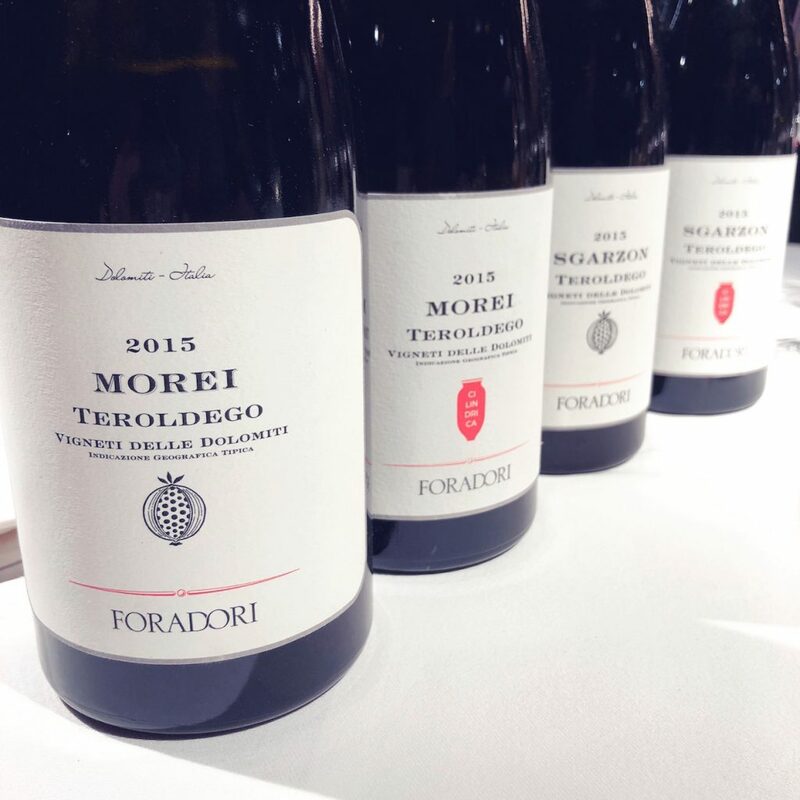 The biggest change to Foradori, however, came in 1984 when, at just 20 years of age, Theo Zierock’s mother Elisabetta took over control of the Foradori estate, producing her first vintage. She began with nine hectares of Teroldego – a three hectare, old-vines vineyard called Granato, and six hectares of newly planted clones. 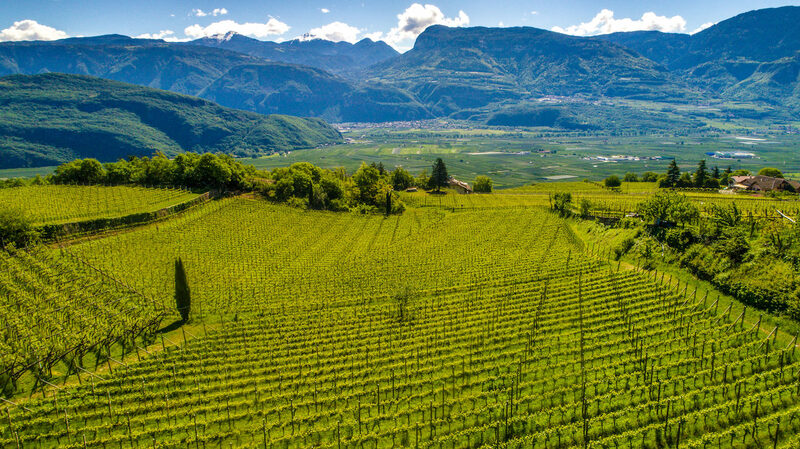 Teroldego is a grape that is ‘an uncle’ of Syrah, favours airy pergola plantings and is quite comfortable in the Trentino region, whereas Syrah is not – only ripening approximately once every two years. Legend has it that the name Teroldego is derived from “oro” and “Tirolo” ie. the golden one from Tirolo, which is how it was named in the royal courts. First mentions of the grape variety date back to the early 1300s, when the wine was used for trade agreements. After World War II, however, prices collapsed and two clones of Teroldego were developed for mass production giving the grape a bad reputation as a source of cheap supermarket ‘plonk’. 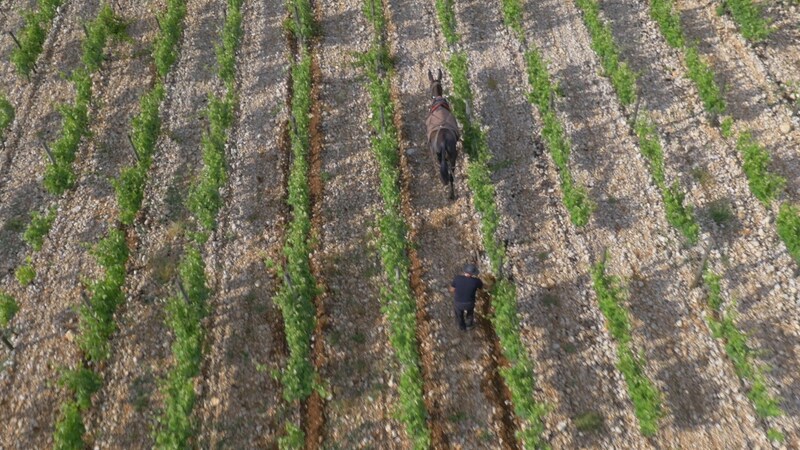 This now represents 95% of plantings in the area, an issue compounded by the fact that this region has the lowest amount of vignerons in Europe with just one grower per 130 hectares. Around this time, however, Elisabetta Foradori met Professor Rainer Zierock, a German eco-writer who she would later marry, have three children with and who would totally change the destiny of the Foradori winery for good. Zierock advised her against planting these two clones of Teroldego and also against planting international grape varieties, which was happening throughout the region, primarily because they were easy to sell to cooperatives. So, in a controversial move, Elisabetta removed the six acres worth of newly-planted Teroldego clones and in their place planted massal selection vines from the three acre Granato vineyard, what Theo Zierock refers to as “the children of Granato”. These vines have already developed a reputation for themselves through Foradori’s single vineyard cuvées of Sgarzon and Morei. Up until now, these have spent eight months in the panciuta amphorae and then into bottle. All fruit is de-stemmed, and the vineyards have been biodynamic for almost 20 years now. Fruit health is key, emphasises Zierock, as he explains that amphorae allow for no corrections. For the first week to ten days, the amphorae are covered by towels and very gentle pigeage is done simply to break the cap. After this, they are hermetically sealed (which costs even more than the amphorae but is absolutely crucial), and the wine remains there for seven to nine months. The skins never leave the amphorae, they simply drop to the bottom, and hence the wine becomes the exact colour of the grapes that vintage. Now, a small amount (approximately a third of each) goes without skins into the cilindrica for another year. This is when the fun begins. Teroldego Morei 2015 The Morei can often seem rounder and deeper, whereas Sgarzon can be more “rock and roll”. It tends to be faster to open up and “cares less.” The vineyard sees more sunlight and has the soils of the Dolomites, hence greater minerality. It’s a very pretty wine, a romantic wine. Plush nose of wet flowers and roses, lifted and very perfumed with a cherry skin bite on the palate; Subtle lavender and rosehip on the confident, deep finish, with lingering dried olives and wet tobacco and earth. A closed, shy nose, almost iron-fist like. On the palate, it exudes spicy white pepper and ash, raspberry flesh dipped in earth emerges, with fresh blueberry skin and red cherry skin. It’s a shy, subtly flirty wine; most definitely still an adolescent that is not quite sure of itself yet, a little like a bird hiding behind its feathers. Teroldego Sgarzon 2015 Sgarzon sits on alluvial sandy soils with bare Dolomite round rocks, shaped by glacial activity, 1.5m below the surface. Slightly cooler. Poised, brooding nose; Heady notes of dried flowers and dried herbs, with rosemary shining through with a hint of leather. Some fresh liquorice joins on the palate, with a dense chewy energy that is much more muscular and angular than the Morei. It is playful, direct and somewhat electric in its energy. Foradori has always had a reputation as a winery willing to experiment and take risks. 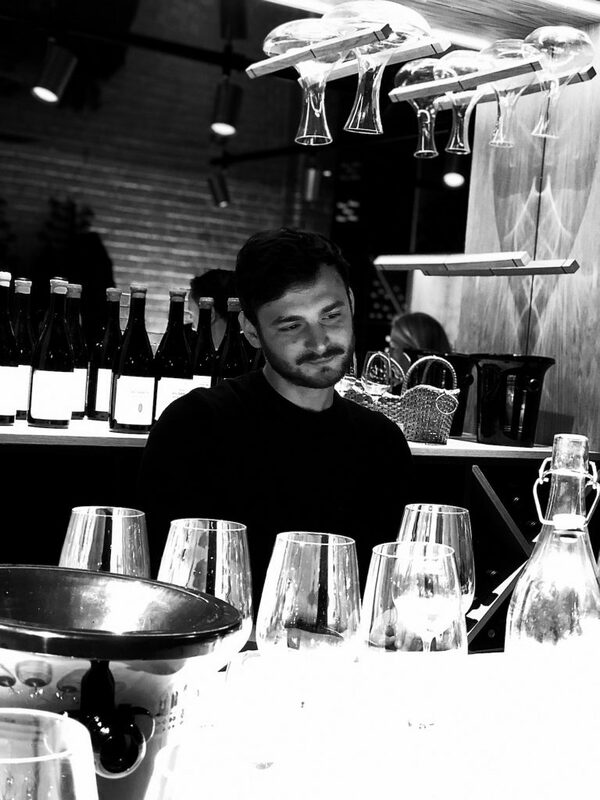 Since 2012, when Theo’s brother Emilio took over the head winemaking role from Elisabetta, this has continued. With totally different goals to the amphorae-ageing, Theo and Emilio have created Lezer – not just a wine but also a project. 2017 saw difficult vintage conditions, and a lot of hail. This resulted in a delayed vintage for some parts of the Foradori vineyards which, in turn, led to an opportunity for experimentation. Lezer is the product of around 20 different experiments from the home vineyards, of which three quarters went into the final blend. Some went into amphorae, some into oak, some into steel, some into cement, some with the floating cap method and others with direct press. The result is this juicy creation that is pure, zesty, light, unpretentious but with a degree of seriousness. It’s a wine you want to sit on the beach with, on ice, in magnum format. It will hopefully become the wine that is the “gateway drug,” as Les Caves de Pyrene‘s sales and marketing director Doug Wregg puts it… for younger crowds to discover other wines with this philosophy. The other direction for this project is Zierock’s hope for it to become a sort of co-operative wine. He wants to encourage other Teroldego growers in the area to focus on quality and massal selection – to “spread decent agriculture” and to improve vineyard dedication. Unfortunately it is an area that, as Zierock puts it, “has little to no organic trend. It is still very backwards.” He hopes that by spreading a good philosophy and by paying well, local growers will come to understand the potential for Teroldego here. The Fuoripista Pinot Grigio is aged for eight months in amphorae and is unlike any other Pinot Grigio you will have tasted, and is one of my own personal favourites of this variety. We tasted the 2015 – it’s bold and flirty, with fresh peaches, cherry skin, dried acacia and a subtle fresh honey hint on the finish. There are raspberry pips and fresh strawberries on the palate, and such a thirst quenching juiciness. There is texture and fresh orange blossom, it is a bold wine that keeps on giving and is so drinkable. 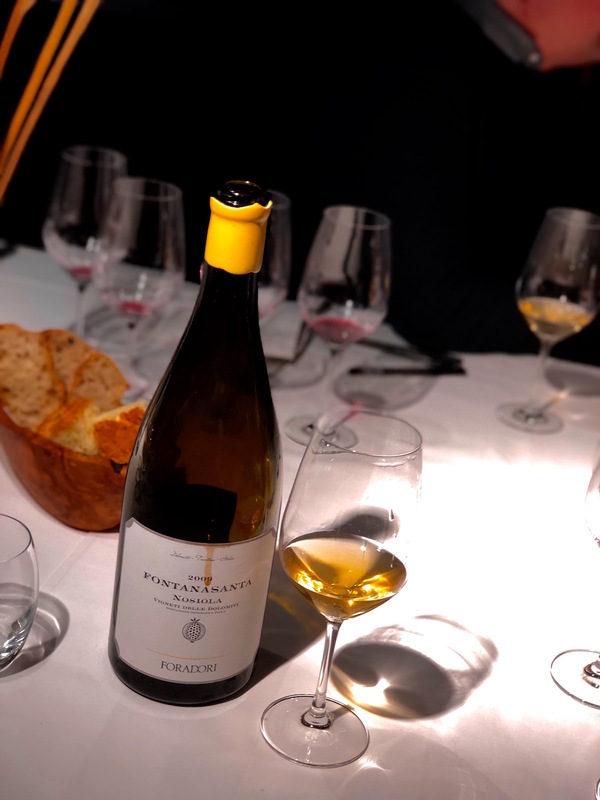 We tasted the Nosiola from the Fontanasanta vineyard, 1300 feet up in the hills above Trento. As Zierock explains, “this variety needs the long skin contact, else it can be bland.” The wine is most definitely not bland, there is haylage, wild flowers, dandelions, blood orange oil and dried elderflower immediately on the palate. On the finish, lifted lime rind and bluebells linger. Zierock pulled out a 2009 magnum of Nosily, their first ever vintage. It is just beautiful. A wine inherently comfortable in its current stage of development, with fresh orange blossom, marzipan and lovely beeswax notes. It is fiercely proud of its texture, and ironically very heady for a grape variety that tends to be non-aromatic. Opulent yet with a mineral backbone, this keeps opening in the glass, with fresh tree sap and sticky flower pollen on the finish. It’s quite unlike any wine I have had before.